With luxurious holiday cottages for you to pick from, here at DSC Holiday Cottages we offer accommodation for all members of the family. 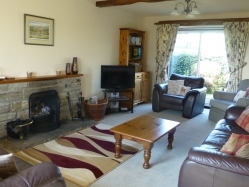 We have a cottage located in , ideal for exploring the nearby Yorkshire Dales. All of the home from home comforts are available, ensuring that you are never left without the things you need. Both of the cottages we own have been awarded 4 stars from Visit England. With plenty of local places to enjoy, our accommodation is ideally placed for you. To find out more, do not hesitate to get in contact with us today on 01756 752435. A welcome tray is provided for all guests and there is street parking available. Unfortunately, pets are not allowed here. If you are looking to explore and the surrounding Yorkshire Dales, our unique cottages are ideal for you. To find out more, please give us a call today on 01756 752435 or fill in our contact form. Alternatively, you can view the cottages availability here.